The Everyday Life of a Working Artist by Leslie Saeta: Cyber Sale Starts Monday! 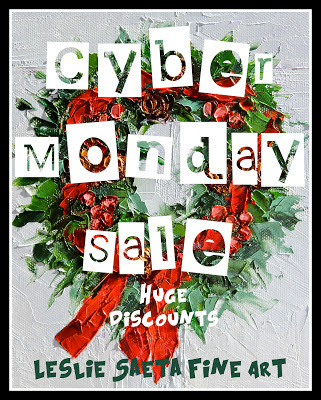 Join me for my Cyber Sale! November 26 - 30, 2012. Follow the link for great savings!